Meet Beep, Pi, Pangle, and Dot, the Robot Turtles at the heart of a family game full of obstacles and special powers children can unlock as they learn the basics of computer programming without even realizing it. In this problem solving programming game for kids, everybody wins. It’s not about competition. It’s about having fun and—shhh, we won’t tell if you don’t—learning a life skill along the way. 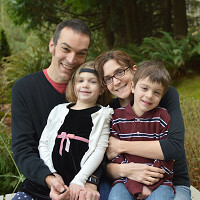 The inventor of Robot Turtles, Dan Shapiro, is a computer programmer and a dad. People often ask him why he designed a board game instead of an app to introduce kids to the fundamentals of coding. Like most parents, Dan had no problem convincing his twins to do screen time. Robot Turtles was his way of sharing his passion for programming with his children while spending fun, quality time together as a family. He wrote the rules so the kids play the role of the programmers commanding grownup players to act as computers making silly turtle noises like beeps, boops, and zaps. Ideally suited for kids ages 3 and up, the basic game only takes seconds to learn and minutes to play. For more practiced players (around 7 and 8 years old), there’s an advanced level of play that extends the life of the game and provides even more opportunities for learning. 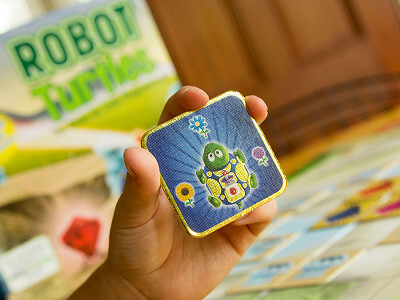 We're really excited to partner with The Grommet to bring you Robot Turtles! The most backed board game in Kickstarter history sneakily teaches preschoolers the fundamentals of programming. It takes seconds to learn, minutes to play and provides endless learning opportunities! I'm honored to have Robot Turtles in the company of amazing products like Ubooly, GoldieBlox, and MaKey MaKey! There's so many cool options now for parents who won't settle for dull kids play. If you have any questions about the game, I'll be lurking in the comments! 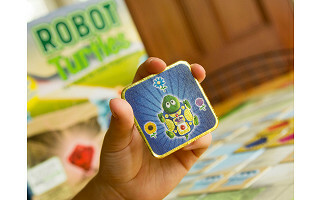 Meet Beep, Pi, Pangle, and Dot, the Robot Turtles at the heart of a family game full of obstacles and special powers children can unlock as they learn the basics of computer programming without even realizing it. In this problem solving programming game for kids, everybody wins. It’s not about competition. It’s about having fun and—shhh, we won’t tell if you don’t—learning a life skill along the way. The inventor of Robot Turtles, Dan Shapiro, is a computer programmer and a dad. People often ask him why he designed a board game instead of an app to introduce kids to the fundamentals of coding. Like most parents, Dan had no problem convincing his twins to do screen time. Robot Turtles was his way of sharing his passion for programming with his children while spending fun, quality time together as a family. He wrote the rules so the kids play the role of the programmers commanding grownup players to act as computers making silly turtle noises like beeps, boops, and zaps.